United have been transformed since the sides were drawn together in December by caretaker manager Ole Gunnar Solskjaer's run of 10 wins and one draw in 11 matches in charge following the sacking of Jose Mourinho. 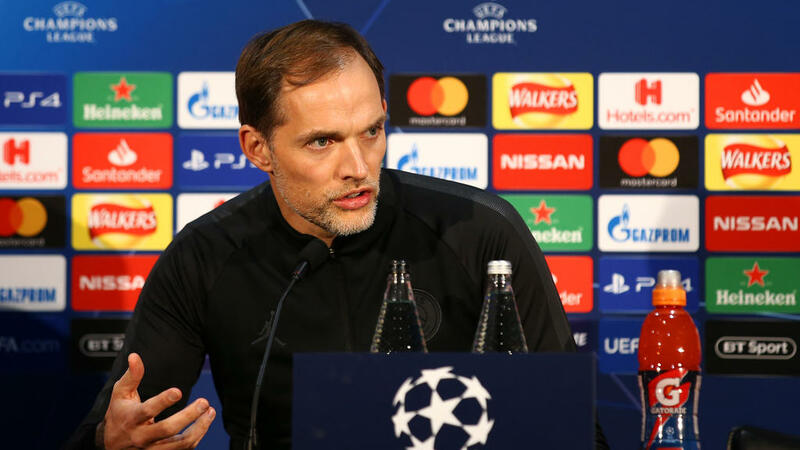 French World Cup winner Paul Pogba and striker Marcus Rashford have led the way and Tuchel believes the handicap facing PSG at Old Trafford for Tuesday night's first leg is the equivalent of United losing both players. "Would Man Utd miss Pogba if he is not there? Would they miss Rashford? Of course they would," said Tuchel. "Neymar is one of the key, key players in Europe. We cannot replace him and now we miss another key player in Edi." Tuchel's men already have experience of facing English opposition in the Champions League this season as they topped an extremely tough group ahead of Liverpool with Napoli missing out on the knockout stages despite losing just one game. And the former Borussia Dortmund coach believes his side have again drawn the short straw by facing United in current form compared to the final days of Mourinho's troublesome tenure. "It is completely different. You can see Manchester United play with a lot of confidence, they score a lot of goals, get a lot of early leads, it's an impressive run," added Tuchel. "To play in this moment in Old Trafford against this Manchester United is again, like our group stage, one of the toughest challenges you can have." Despite spending hundreds of millions of transfer fees backed by the club's Qatari owners, PSG's form away from home in the Champions League against elite sides has been poor. "We cannot forget we have a second leg in Paris so it is not all in or nothing tomorrow," said the German international. Solskjaer claimed even beating the French champions would not guarantee him the job on a permanent basis. However, another landmark victory would make the Norwegian's case hard for the club's hierarchy to ignore. "We've given ourselves the best possible opportunity with the way we've gone into this game because we are confident," added Solskjaer.